Microsoft’s stunning HoloLens holographic computer, which stole the show at this week’s Windows 10 event, runs on an unreleased Intel Atom chip code-named Cherry Trail, according to a source familiar with the hardware. The HoloLens computer, which isn’t yet commercially available, is an augmented reality headset that allows users to interact with 3D objects that show up as floating images, much like holographic projections. 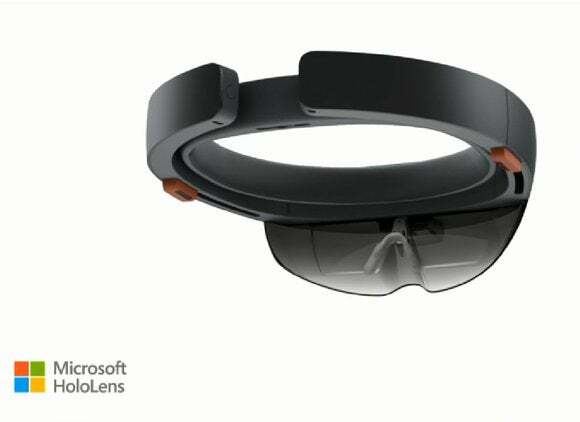 Users can wear HoloLens and then build 3D objects, chat on Skype or even play 3D games. HoloLens provides a new form of human-computer interaction beyond just screens. Specific HoloLens hardware details were not shared at the show. Microsoft only said it has a CPU, graphics core and a holographic processing unit, called an “HPU.” The CPU and GPU are based on Cherry Trail, which will also be used in tablets later this year, according to the source, who asked for anonymity. Cherry Trail is a successor to Intel’s current set of tablet and low-end PC chips code-named Bay Trail. Cherry Trail is smaller, has more features and is faster than Bay Trail, and is able to fit within the curved contours of the HoloLens. The chip is made using Intel’s latest 14-nanometer manufacturing process, which is considered the most advanced in the semiconductor industry. The success of HoloLens very much depends on its ability to recognize gestures and hand movements. Intel is bringing some gesture recognition capabilities to Cherry Trail, though it’s unclear how the processing will be broken up between the CPU, graphics core and holo-processor. A challenge with HoloLens will be to keep it free of wires during usage, and Cherry Trail has many such “wire-free” computing features. For example, it may be possible for HoloLens to recharge wirelessly by placing it on a specific surface. Intel is bringing wireless charging features to Cherry Trail: tablets will also be able to recharge that way. Devices with Cherry Trail will also be able to stream video wirelessly to larger screens through a technology called Wi-Di. The mysterious part of HoloLens remains the HPU, which Microsoft characterized as a new type of processing unit. The HoloLens has to do many calculations simultaneously to analyze and process all the information and pixels in 3D space, said Jim McGregor, principal analyst at Tirias Research. The HPU could be a vector or graphics processor that can recognize objects and handle the rendering and display of 3D images, McGregor said. Or it could be an offshoot of Intel’s Xeon Phi, which started off as a graphics processor—code-named Larrabee—and then morphed into a supercomputing chip designed to handle complex 3D imagery and math calculations. The Xeon Phi itself is too big to fit into the HoloLens, but the holographic processor could be an Intel “micro-engine” adaptation of the chip, McGregor said. It’s also possible that Microsoft developed its own HPU, but developing graphics and vector processors can take a lot of time and money. Microsoft perhaps developed the HPU in the form of a digital signal processor (DSP), widely used in mobile devices to handle specific functions like language and image recognition, and worked with Intel so the DSPs were compatible with Cherry Trail. 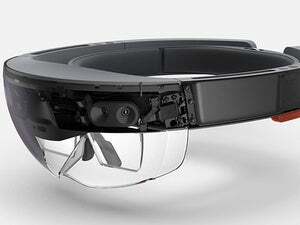 HoloLens is the hardware for Windows Holographic, an augmented reality platform in Windows 10. Microsoft hasn’t provided a specific availability date, but HoloLens will ship after Windows 10 becomes available later this year. Neither Microsoft nor Intel immediately responded to requests for comment.